Dr. Fraiz and Dr. Beavers are very experienced in alleviating your dental pain. Everything from a toothache to TMJ dysfunction, we will be able to assist you in becoming pain-free. 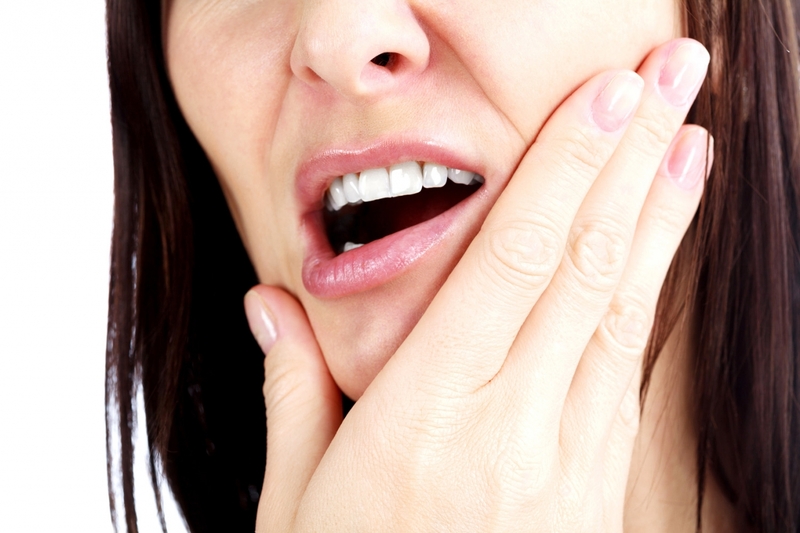 If dental pain is left untreated, more serious problems can arise down the road. You don’t have to live your life with dental pain. If coming to the dentist makes you nervous, we offer services like nitrous oxide (laughing gas) and oral sedatives to make you more comfortable. Remember, we are here to serve you and make you as comfortable as we can while doing so. If you are having or have had discomfort associated with your mouth, call us and make an appointment. Many patients are concerned with the appearance of their smile. We offer tooth-colored filings for a more natural looking smile. Tooth-colored fillings can also be used to replace stained, discolored, or silver fillings. When getting a tooth-colored filling, the unhealthy part of the tooth is removed. The cavity is then cleaned and the tooth colored filling is bonded on to make the tooth look and function like brand new. The new tooth colored filling is ready for chewing immediately after your appointment. A crown may be indicated if you break a tooth or a cavity is too large to be filled with a tooth-colored filling. Sometimes, teeth that have old, large, silver fillings are also at great risk of breaking and may also need a crown. 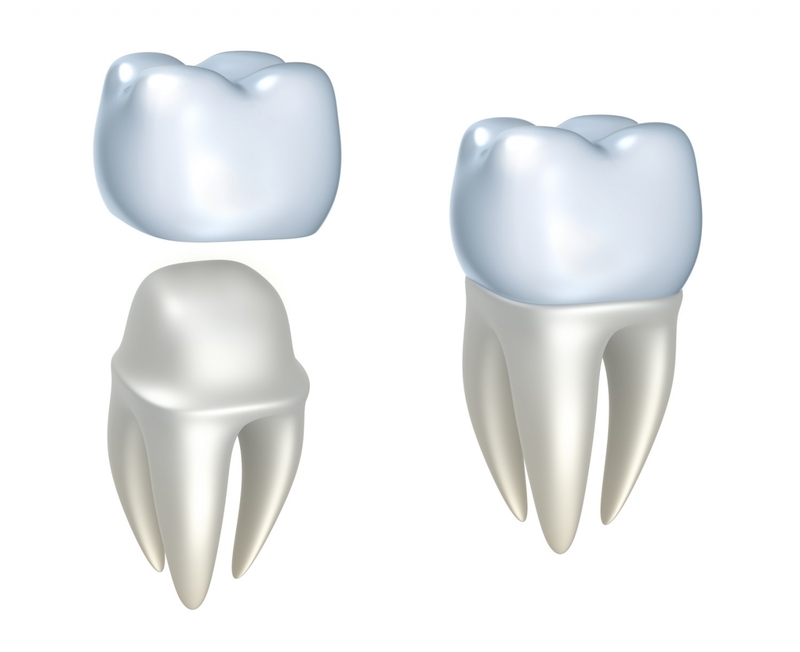 We offer ceramic crowns that are extremely durable and natural-looking. When getting a tooth-colored crown, our doctors will numb the area to make the patient feel comfortable. The unhealthy part of the tooth or old filling is removed. A new foundation filling may need to be placed for the crown to sit on. We take a digital scan of the tooth and the rest of the mouth to get an exact color match and to ensure that the new crown will fit perfectly. The patient will receive a temporary crown for 2-3 weeks while the digital scan is sent to the dental laboratory and the ceramic crown is fabricated. When the crown is ready, the patient will come back for crown delivery. The new tooth-colored crown is then ready for chewing immediately after the appointment. Root canal treatment is needed when the nerve of the tooth becomes irreversibly damaged. This irreversible damage can be caused by infection from untreated dental cavities or from trauma to the tooth. The words “root canal” often have a stigma associated with them, but when done properly, the procedure should be relatively pain free and should relieve dental pain associated with the tooth. When receiving root canal treatment, our doctors will numb the area to make the patient feel comfortable. An access hole to the nerve chamber is then made. The damaged nerve of the affected tooth is removed. The root canal is then cleaned and shaped. A disinfectant is used to get rid of any bacteria that may be hiding in the root canals of the tooth. A biocompatible filling material is used to fill the root canal and seal it up, preventing further contamination. The access hole into the nerve chamber is then filled with a tooth-colored filling. Often times, after receiving root canal therapy on a tooth, it will need to receive a crown due to the amount of tooth structure that is missing. We like to fix teeth as much as possible, but sometimes the damage is too great to predictably be able to fix a tooth. Sometimes, teeth are fractured or there is a cavity that is too large to be filled or crowned. If this is the case, a tooth may need to be extracted or “pulled”. Before having a tooth extracted, we will discuss your options of replacing your teeth, as that can change the course of action when having teeth removed. Patients often have pain that is associated with their jaws. This can be related to the temporomandibular joint or the “TMJ”. This pain can be caused by a multitude of problems. We often see TMJ dysfunction associated with tooth grinding or “bruxism” and clenching. Our doctors have excellent experience in diagnosing and treating TMJ dysfunction and can help educate you to alleviate your jaw pain.